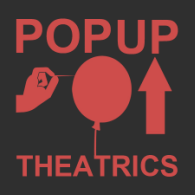 "PopUp Theatrics takes the audience on a journey around the world. And you don’t even have to get on an airplane." is a love letter to city. Real life and theatre collide in this 'street immersive' that invites 9 audience members at a time to navigate the broken trails of stories and follow the characters who populate a chosen neighborhood of one city. 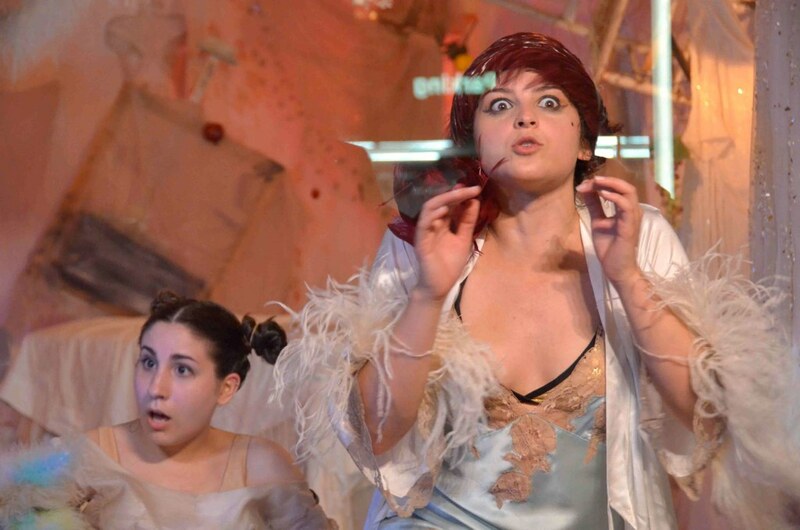 BROKEN CITY is an intervention conceived by PopUP Theatrics partners Ana Margineanu, Tamilla Woodard and Peca Stefan. Broken City received its premiere in Lower East Side in NYC in July 2014. A second edition followed in July 2015 in Harlem, NYC. Learn more about Broken City Harlem - watch a documentary here! is performance intervention created for two audience members at a time that uncovers the hidden faces of well know places. INSIDE takes audiences deep inside the scenes to experience an iconic landmark as never before. Each performance offers spectators a heightened level of physical access to a well known location. At the same time audiences experience an internal connection to the surrounding event as a voice “inside their head” give live private commentary to each audience member via an ear-peice. Audiences travel in pairs, seeing the same events but hearing different version of each story. is a multi-artist, multi national collaboration and a one of a kind theatrical event: a Skype show for an audience gathered in one place with performances given by actors spread out around the world. We had 6 successful productions since 2011 with more than 75 artists world wide, and presentations in NYC, Mexico, Edinburgh and Buenos Aires, and Bucharest, Romania. The show itself is planned to take place around the world, but the audience will view it via Skype from a single loccation. 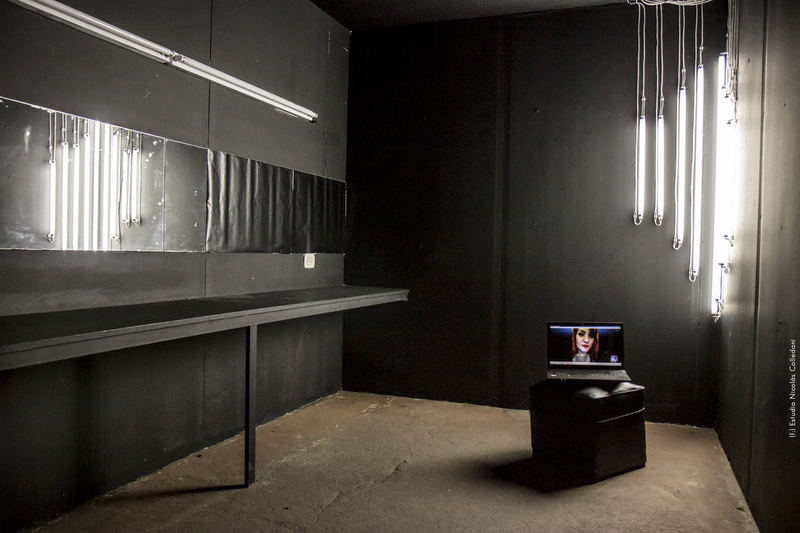 Each audience is assigned a computer with a ready made connection to one actor located in a different part of the world. Each performance is one audience member at a time. breaks the classic convention of the theatregoer buying a ticket, entering the theatre and just seeing a show. This time, the audience members are in control and decide how long to watch the performance. Pedestrians may view the piece as a “living window” for a few moments, in a quick flash or in its entirety. For THE WINDOW stage designers have been invited to redesign RCINY’s Third Avenue storefront gallery space, and playwrights to write new plays for this re-imagined gallery. In this project the space dictates the shape of the performance as opposed to the normal order of operations where the nature of the play determines the set. Different teams of stage designers and playwrights worked together for each run of the project. is a theatrical experience for one spectator at a time, performed in and inspired by a hotel and created by local and international teams of playwrights and directors. 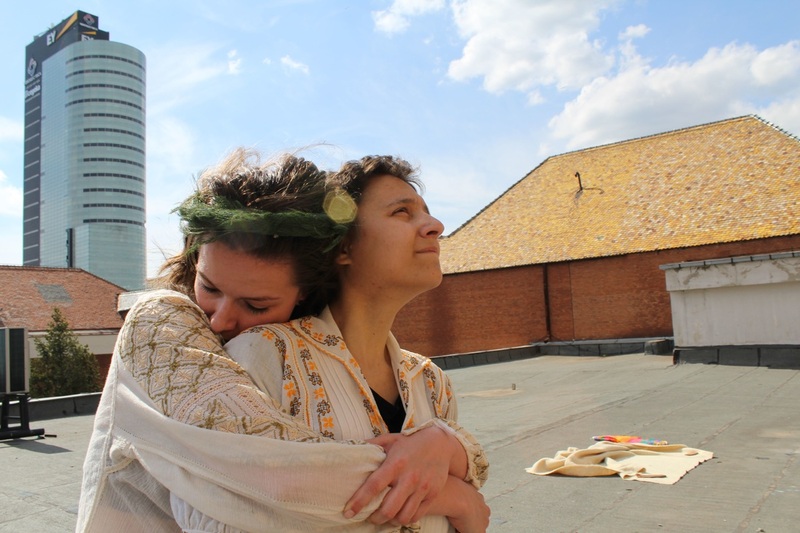 Adapted for local hotels in major cities around the world, this performance offers audiences a view of contemporary international artists and emerging theatrical forms. The uniqueness of the project consists in the relationship between performer and spectator. Audience members will travel through several rooms revealing the unseen lives of others. In this exclusive performance, you get to be a fly on the wall. Closed doors will be open. More about Hotel Project here.